Showing 1 - 3 of 3 Products for Air Suspension Helper Spring Spacer. 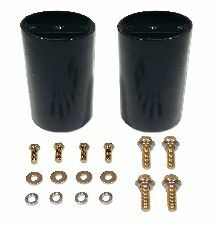 The actual adapter height needed may vary from the specific size of the installed suspension lift kit. For example many lift kits will lift the rear of a vehicle less than the front of a vehicle. 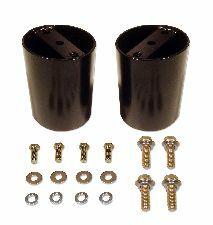 Be sure that the Lift Rite adapter purchased is within 1-inch of the amount of installed rear lift. 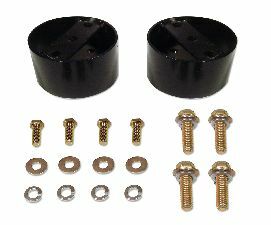 Lift Bracket designed to use with high arch replacement spring and/or add-a-leaf equipped lifts. Not requited for block only lift.